Getting to the track is kind of like going to the local jousting execution; it's a lot of fun, but you better have the right armor. The Alpinestars Track Vest 2 makes that part easy. 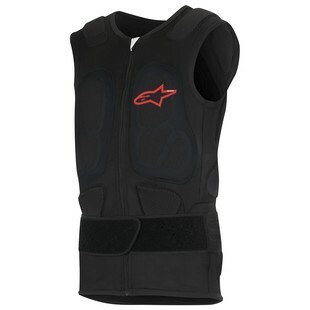 This vest is an excellent update to the original Alpinestars Track vest. It features the new Alpinestars Nucleon KR-1i back protector and has the option to add the Alpinestars Nucleon KR-Ci Chest Protector Inserts. If you are tired of struggling to get your suit on before each session or just do not want to mess with two different pieces of armor, this is the vest for you. In addition to serious back and chest protection, this piece of kit provides extra padding in those places that are far to0 often neglected. It features padding in the ribs, stomach, and top of shoulders.